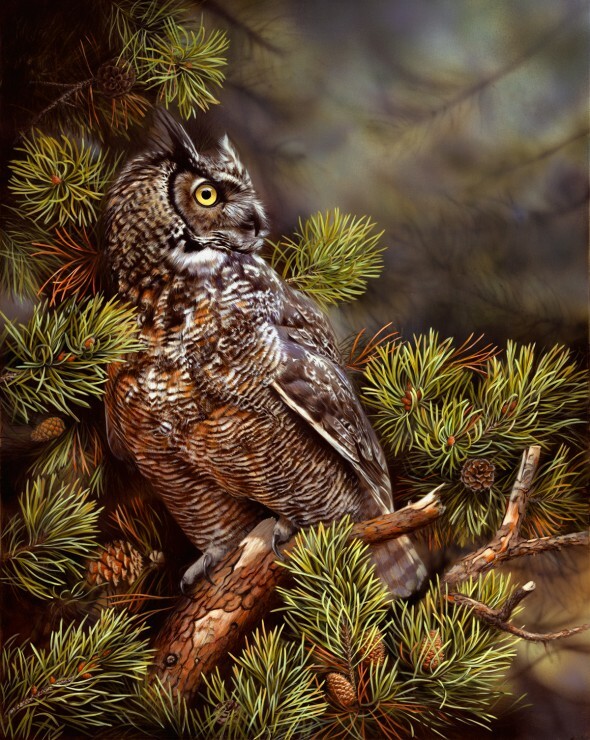 I wanted to paint this owl at dusk when it would normally start to hunt. 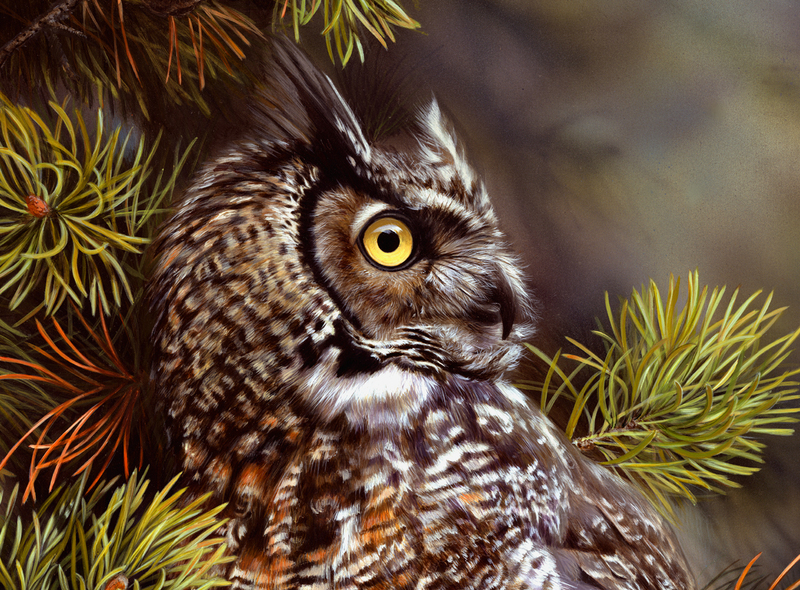 This large owl eats anything from small rodents to larger animals like ducks and even geese. It has acute night vision and hearing and due to the special construction of it’s feathers, it can fly in total silence to catch it’s prey.